GA members are offered a reduced subscription to Geology Today from Wiley, a bi-monthly journal of interest to all members of the geological community. 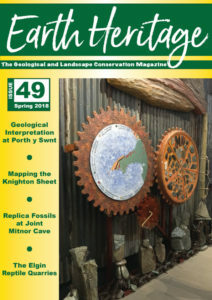 Earth Heritage is a magazine produced twice yearly to stimulate interest in geodiversity and a broad range of geological and landscape conservation issues within the UK and further afield. At present, Earth Heritage is only available electronically.